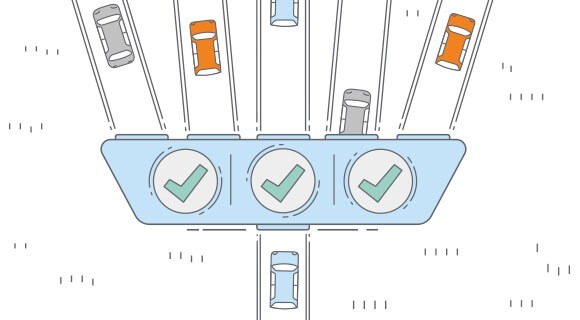 Designed to address connectivity issues for high density networks, the new 802.11ax (Wi-Fi 6) standard improves the performance of the entire network. New features allow multiple clients to transmit simultaneously, increasing network capacity by up to 4 times compared to 802.11ac. With 802.11ax (Wi-Fi 6), multiple access points in a dense environment can transmit to multiple devices using Orthogonal Frequency-Division Multiple Access (OFDMA), multi-user multiple-input multiple-output (MU-MIMO) technologies and BSS coloring. 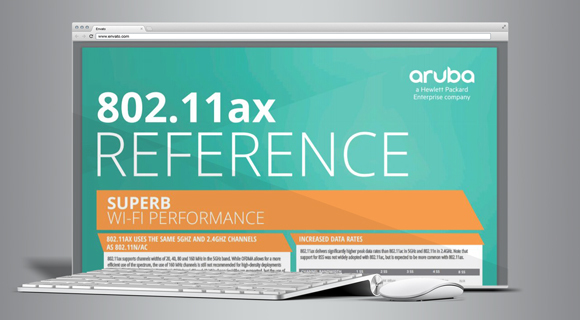 Learn about 802.11ax from our technical experts. 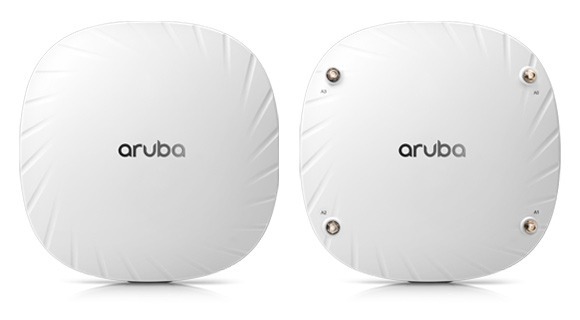 The Aruba 802.11ax APs, combined with Aruba’s intelligent software innovations, are designed to deliver high performance connectivity for mobile and IoT devices in any environment. Need to learn 802.11ax in a hurry? Sometimes the best way to learn about a new technology is to get the basics in a Quick Reference Guide. Why multi-gigabit Ethernet for 802.11ax? 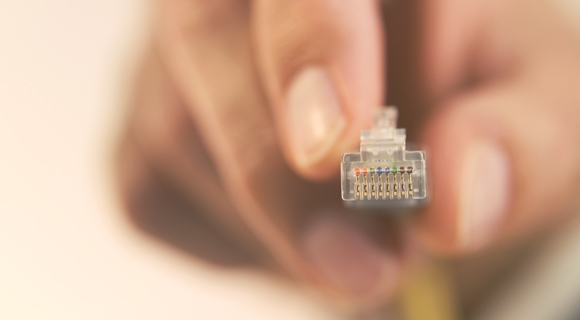 When deploying 802.11ax, you will be transmitting more than 1Gbps data rates. However, one bottleneck remains — the existing cabling infrastructure and the speed of the switch port that the AP is connected to. Find out what is needed.